You have to be able to stay in the fight and that takes a passionate personal injury Attorney who believes in your case and will fight to get you every penny you deserve. At the Law Firm of Pepper & Odom, P.C., we have that stamina, courage, and passion! BASEBALL, WHAT DOES THAT HAVE TO DO WITH PERSONAL INJURY ATTORNEYS? Adversity, keep that word in mind as we go to our next step in litigation. It is after discovery and depositions have concluded that the real adversity begins. Imagine if you will an umpire of a baseball game, what does he do? An umpire calls balls and strikes. An Attorney throws pitches in the form of motions. Motions are simply suggestions to the court to order something be done for a party or against a party. I have heard that motions are “a procedural device for a decision,” but that sounds too much like an insurance defense lawyer talking, something I try to stay away from the best I can. Motions may constitute asking the judge to dismiss a case, to allow another party to be sued, to keep out evidence, or pretty much anything that a party wants done. It is during these motions that the practice of law is really adversarial and every move made by your personal injury Attorney will count. At Pepper & Odom, P.C., we understand the importance of the motion practice and we have many years of experience arguing motions before judges. Before a Motion can be heard by a judge it must be noticed by the personal injury Attorney pursuing the motion. This is done by filing a copy of the Notice of Hearing with the date, time, place and Attorneys to be noticed and sending a copy to them giving them ample time to respond or prepare for the motion hearing. Throughout this whole litigation process, it must be emphasized that personal injury Attorneys need to have good working relationships with insurance defense Attorneys. At Pepper & Odom, P.C. Law Firm, we have a very good reputation for working with other Attorneys by being honest and up front with them. The defense Attorneys know that if we are representing a client on a particular matter, then it is a valid claim and our clients deserve to get paid. At Pepper & Odom Law Firm, we strive to do what is right for our clients. In our next blog post, we will discuss the parts of a trial where that stamina, courage, and passion are still very much needed. 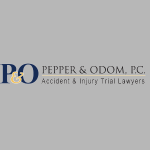 We have years of trial experience that we will put to work for you, just give us a call at Pepper & Odom Law Firm, 601-202-1111.